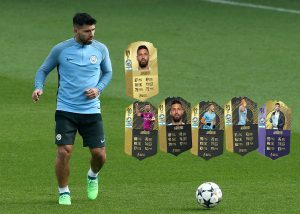 FIFA 18…FUT STARS OF THE SEASON! 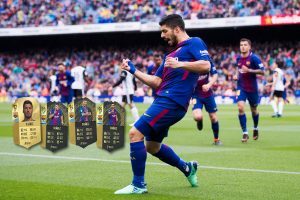 MATCH has been checking out the footy superstars whose jaw-dropping performances this season have earned them tons of FUT cards on FIFA 18! 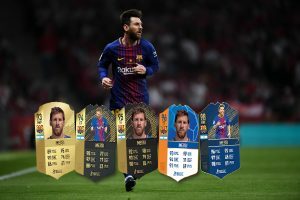 Getting into two TOTWs, the Champions League Team Of The Group Stage card and the Team Of The Year card is pretty standard for Messi – and there’s probably more to come! 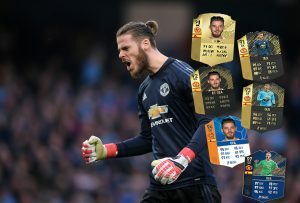 Samir Handanovic and Marc-Andre ter Stegen have had some sick stat boosting cards this season, but neither compares to the king of GKs on FIFA 18, TOTY superstar De Gea! 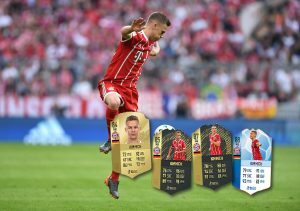 Kimmich’s 88-rated card from the CL Team Of The Group Stage is one of the sickest defenders you can get on FIFA 18 – he’s got better dribbling and passing stats than a lot of attackers! Aguero was the first player to feature in four TOTWs this season after he smashed four wicked goals past Leicester back in February! 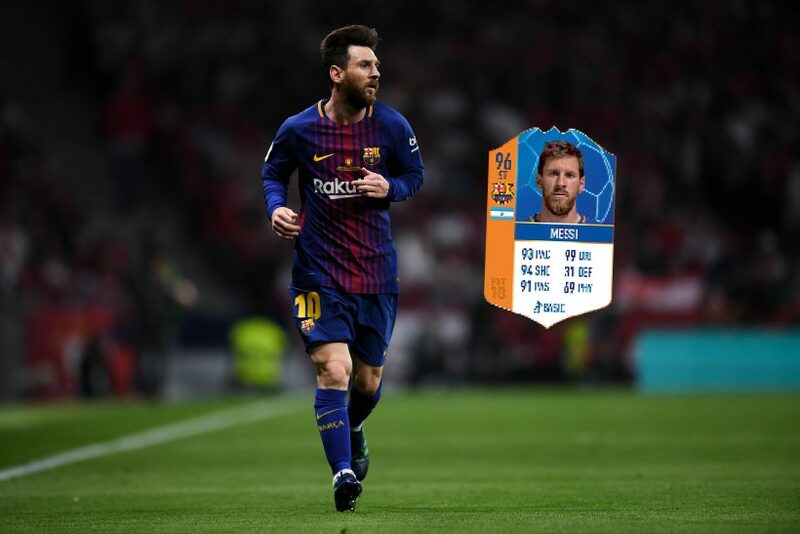 With 96 stats for finishing, the 93-rated card is absolutely deadly! 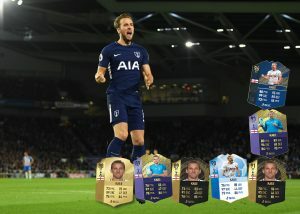 Kane’s had two Prem Player Of The Month cards to go alongside his two In-Form cards and his place in both the TOTY and the CL Team Of The Group Stage…plus, a two-point winter upgrade! What a season! 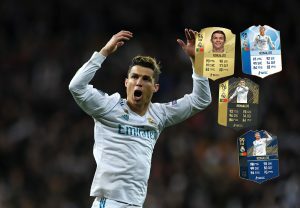 Ronaldo would probably be disappointed to have waited until February to feature in a TOTW, but he’s still the only player with a 99-rated card this season – the fifth of his FUT career. Ledge! Somehow, the Man. 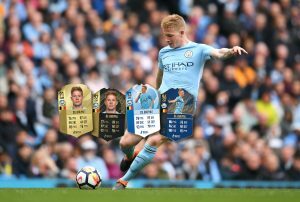 City star reached the end of March with only one TOTW appearance, but a two-point winter upgrade and a place in the TOTY show just how good he’s been! 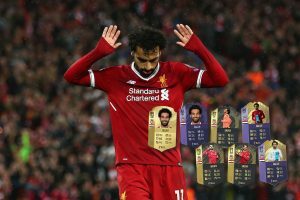 Salah seems to have had a new FUT card every week during his epic season! His winter upgrade still only took him up to an OVR of 85 – imagine how good Mo will be on FIFA 19! 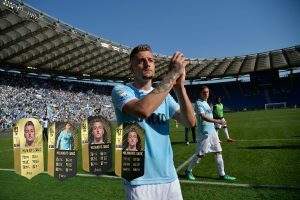 The Lazio star’s been one of the breakout stars of Serie A this season, and you can see that in his three In-Form cards! 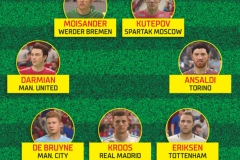 The 87-rated one has 99 Shot Power – what a beast!